Abject Love examines the process by which bodies§becomes labelled able-bodied or disabled', and§interrogates the constitution of these categories. §Not all bodies are able-bodied, but all human beings§have bodies that someday stop functioning. 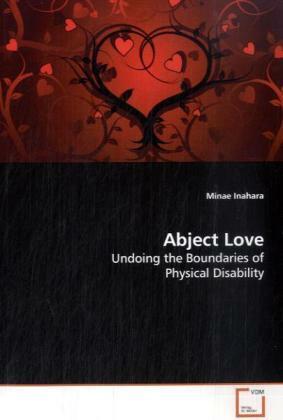 Inahara§suggests that we cannot simply assume a natural§division between the able-bodied and the disabled. §This book explores the different ways in which we can§theorise physical disability and argues, using the§work of psychoanalytic and poststructuralist§feminists, (including Judith Butler, Luce Irigaray,§and Julia Kristeva), that the allocation of the§category of disability is a process of abjection. §The abject' is something that society constantly§attempts to throw out because it unsettles carefully§bounded conceptions of self'. Throughout the book§the theoretical narrative is anchored in reading of§cultural texts, particularly film, but also including§art and performance.